Finding non-places in the capital of Nordic Noir. Although The Bridge is a visual feast for lovers of Nordic Noir, finding the exact film locations is a challenge. That's why I enlisted the help of Ingela Envall, location scout for Seasons 2 to 4. We met at a café in the middle of Malmö and Ingela admitted that scouting the perfect locations for the series had not been an easy task. 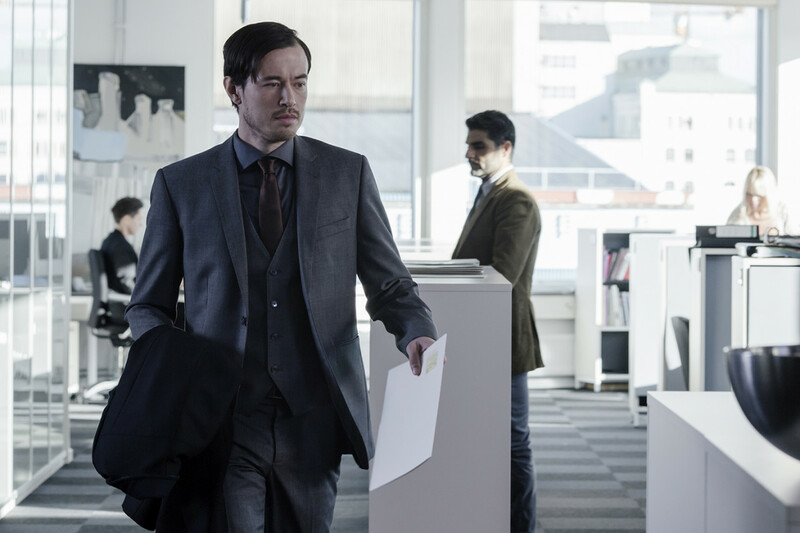 The filmmakers wanted to create a certain mood for the show and the locations had to reflect this - nondescript with hard rectangular shapes and grey-silvery colour schemes. The apartment is a true case in point: it's not much more than a grey concrete box. Saga's apartment is the one protruding from the central building on the right. 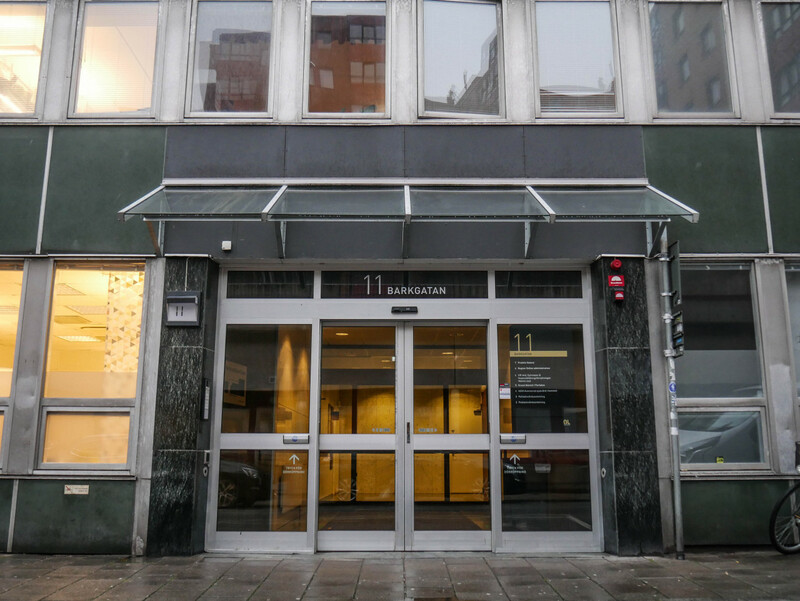 The address is Ankargatan 9. The interior scenes were all filmed in the studio. 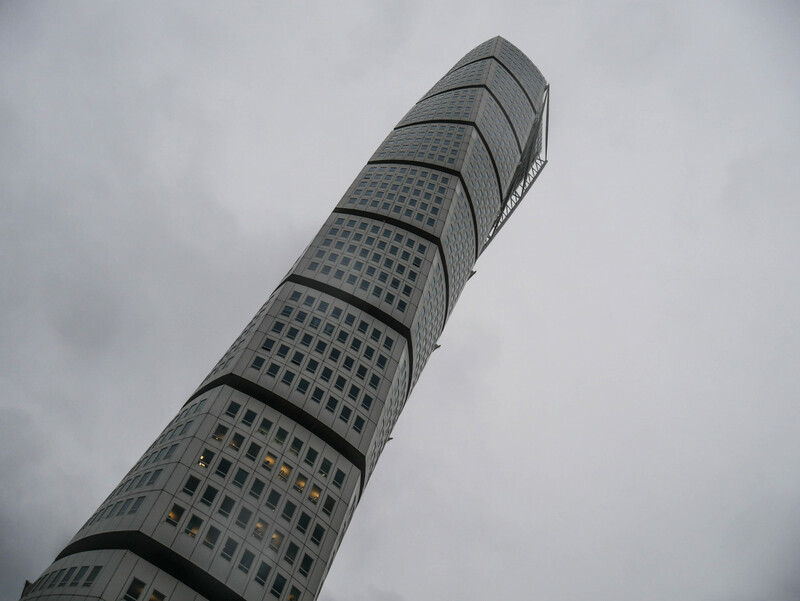 ...the famous Turning Torso, the tallest building in Scandinavia (190 metres). Next stop was the Malmö Police Department in Barkgatan Street. This is a purely functional block which mainly houses offices. The entrance to the police station features in countless scenes, many of which have Saga come to a screaming halt in her green Porsche. The interior scenes were filmed elsewhere. 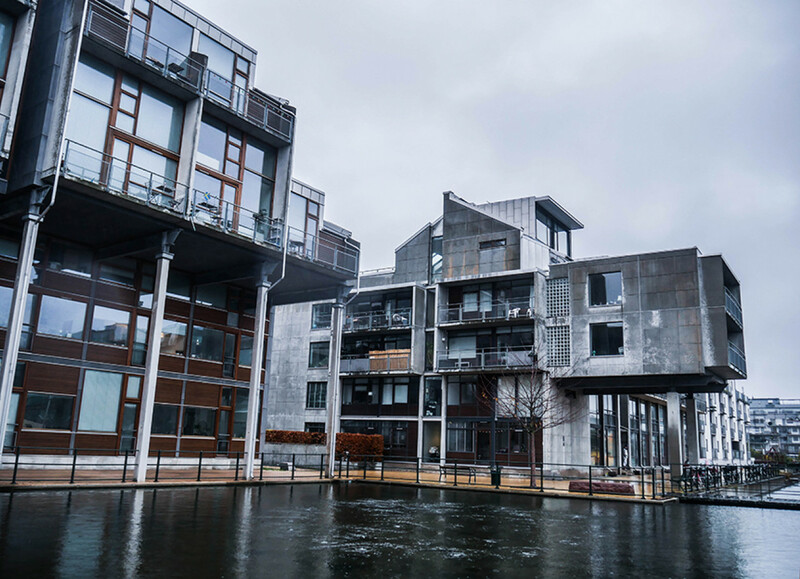 ...you could check out the office building at Dockgatan 1. The building was used as the exterior of the IT company where the character Julian works in Season 2. 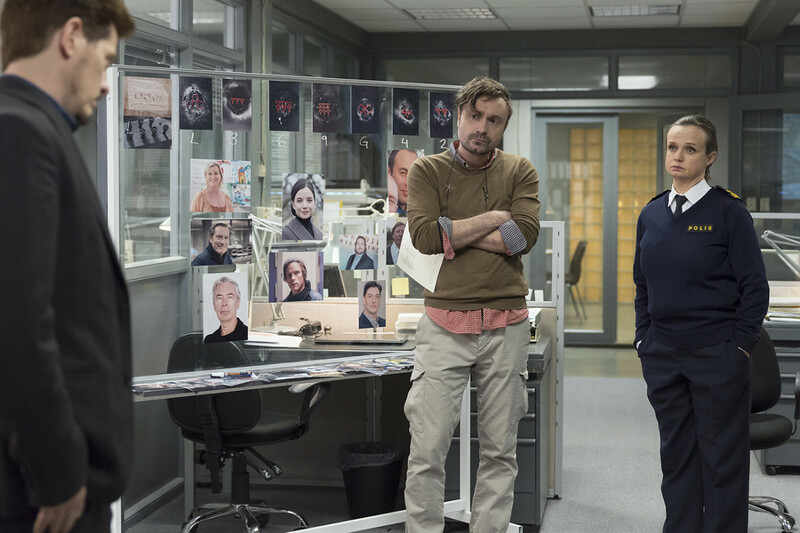 The interior scenes were shot at the engineering consultancy firm Ramböll in Skeppsgatan 5. And certainly a place that no tourist would ever seek out is this passageway in Bangatan Street 1 (close to Möllevångstorget) which was the hideout for the two pickpocketing teenagers Julia and Ida in Season 4. 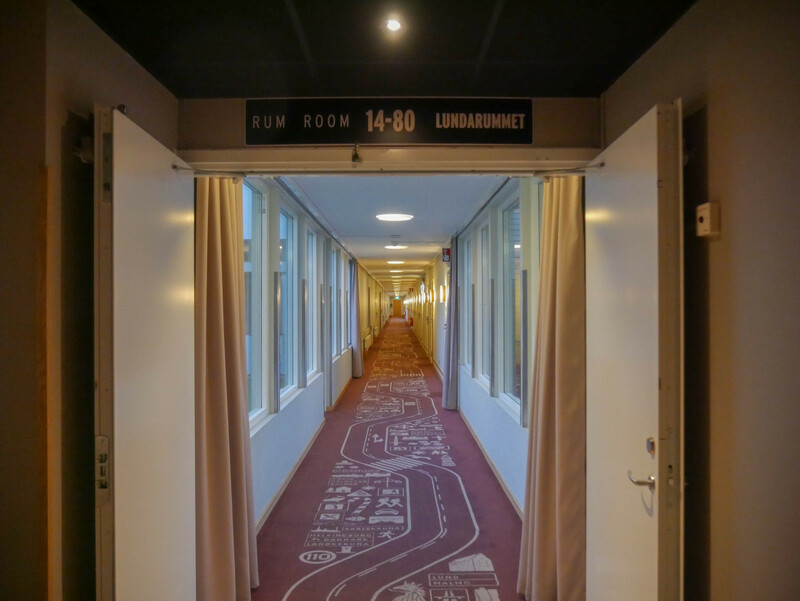 If you're looking for a 'non-place' to stay, you could head to the Scandic Segevång Hotel in Segesvängen Street. This is where Martin lived in Season 2 after moving out of his family home. Distinctively non-distinct. I felt sorry for Martin. Obviously, no visit to Saga's Malmö is complete without seeing the actual bridge. Ingela took me to the best viewpoint on the Swedish side which is at the Luftkastellet on Usiktsvägen Road. The construction is certainly the most iconic of all the locations from the show. It was the perfect ending to our trip on a moody November day which beautifully reflected the world of one of TV's most quirky protagonists: the wonderful Saga Norén.